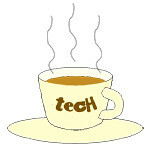 shavers « Tech bytes for tea? 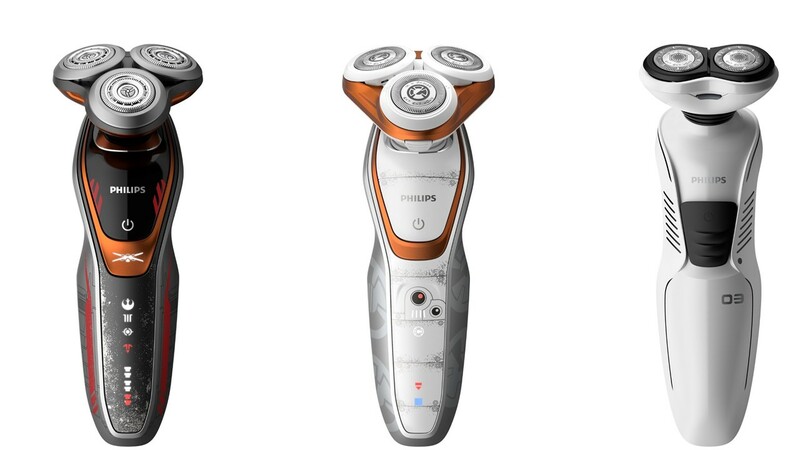 Philips unveiled its latest electric shaver, the Shaver S9000 Prestige (S$599) which sports Philips’ rotary technology. Philips boasts that the Shaver S9000 Prestige offers “the world’s closest electric shave with uncompromised skin comfort”. The Philips Shaver S9000 Prestige (SP9860/13) is now available at leading electronics stores, major department stores and selected authorized dealers. “Personal grooming is a key facet of a modern man’s appearance. 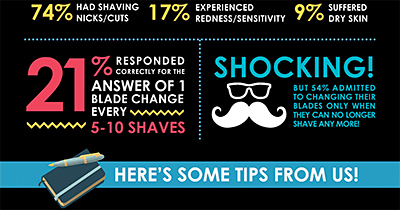 The innovative rotary technology in the Philips Shaver S9000 Prestige offers the world’s closest electric shave possible with uncompromised comfort and smoothness, empowering men to shave better for success and put their best face forward for success,” said Derrick Tan, Co-Founder, Sultans of Shave. In conjunction with the launch of the Philips Shaver S9000 Prestige, Sultans of Shave is offering free shaves, beard trims and haircuts at a pop-up event at Marina Bay Financial Centre from 25 – 29 March. 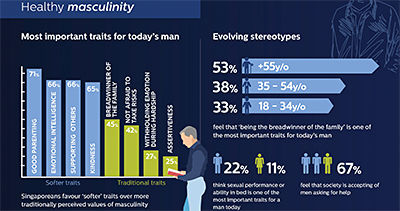 Philips has also commissioned a nation-wide survey examining the perceptions held by Singaporeans of the pressures of modern-day masculinity, and its relationship to men increasingly taking control of their lives with regards to keeping up with their appearances. 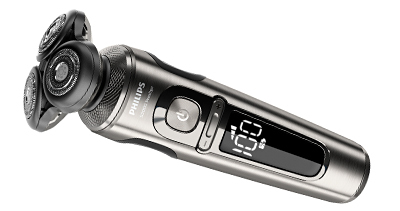 More details below from the press release about the Philips Shaver S9000 Prestige. tech4xmas 2017 gift list: With the premiere of “The Last Jedi”, this Poe Dameron-inspired shaver (S$219) is an apt gift for the ardent Star Wars fan who wants everything in his life to be associated with the movie series. 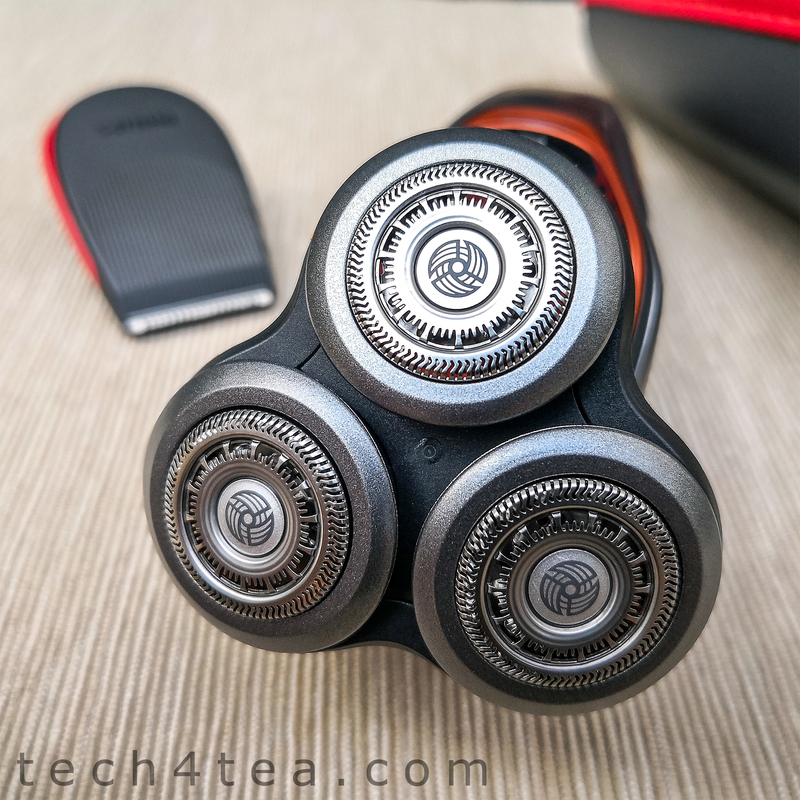 And as a wet and dry electric shaver, it gives a really close shave with its cutting-edge rotary technology. 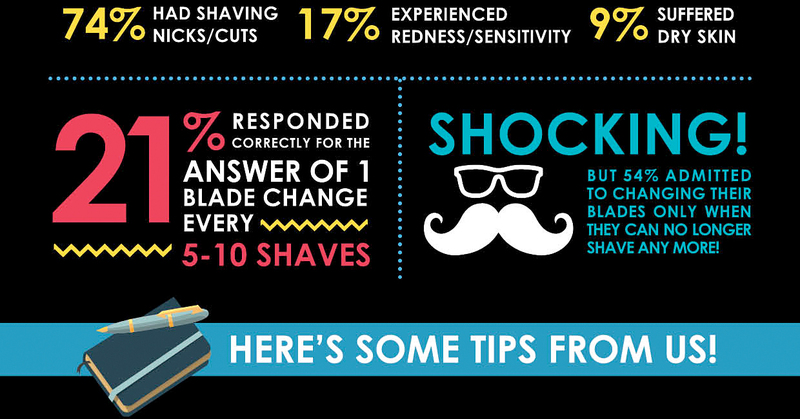 The three shave heads flex in 8 different directions to catch 20% more hair with every pass. Design and appearance wise the glossy SW6700/14 is based on the X-wing fighter that Poe Dameron pilots in the Star Wars sequel trilogy. I like the scratched metal finishing and red stripes. This Poe Dameron-inspired Philips Star Wars Shaver SW6700/14 is part of a trio of Star Wars themed limited edition shavers that Philips is selling in Singapore as part of a global collaboration with the movie franchise. The other two models are the BB-8-inspired Philips Star Wars Shaver SW5700/07 (S$149) and the Stormtrooper-inspired Philips Star Wars Shaver SW170/04 (S$109). These shavers are only available in Singapore until 31 December, 2017 with the SW6700/14 available exclusively at Best Denki. Adding a nice touch is the red X-wing symbol that flickers during use. Trying out the shaver, I found the Reflex Action system on the shaver provided a speedy close shave. As it is moved over the skin, the shaver’s eight-directional ContourDetect flex heads automatically recalibrates to the curves of my neck and face. Throughout the shave, I didn’t feel any pulling or tugging – because of the shaver’s V-Track Precision Pro technology, which uses 72 self-sharpening V-shaped blades cutting at 151,000 times per minute. According to Philips, this technology positions each hair in the best cutting position, even on a three-day stubble (mine was a two-day old stubble) for a shave 30% closer to the skin and in fewer strokes, cutting up to 20% more hair compared to Philips predecessor shaver models. In conjunction with the release of the movie “The Last Jedi”, Philips has launched three special limited edition shavers featuring cutting-edge rotary technology – on sale in Singapore until 31 December, 2017. Prices below. 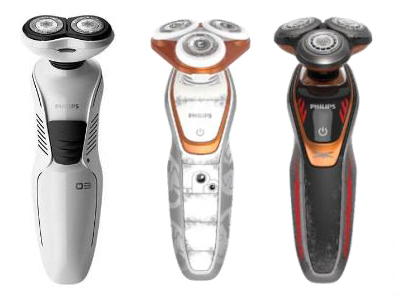 The three new limited edition Star Wars “The Last Jedi” shavers from Philips. From left: Stormtrooper (S$109), BB-8 (S$149), Poe Dameron (S$219). The three new special edition Star Wars shavers is part of a global collaboration themed around the Star Wars franchise. “This collection will not only excite Star Wars fans but also gentlemen who want to up their shaving game. The Philips Star Wars shavers will be introduced at wallet-friendly prices while still offering all-star performance. All Philips shavers make use of a proprietary rotary shaving technology that is designed to follow the contours of the face, offering the closest shave possible and can be used on-the-go for ultimate flexibility and convenience,” said Ms. Aw Ee Ling, Senior Marketing Manager, Personal Health, Philips Singapore. The new range of shavers combines premium cutting-edge technology with never-before-seen design features, emulating different characters from the Star Wars movie collection. The shavers are available in Singapore from November 1 to December 31, 2017. The Poe Dameron-inspired Philips Star Wars Shaver SW6700/14 (review here) is available exclusively at Best Denki. The BB-8-inspired SW5700/07 and Philips Star Wars Dry Electric Shaver in Stormtrooper-inspired SW170/04 are available on the Philips e-store as well as from selected electronic stores, major departmental stores and authorised dealers. The prices for the three new models are listed below.